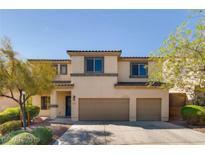 Below you can view all the homes for sale in the Amber Ridge At Mission Hills subdivision located in Henderson Nevada. Listings in Amber Ridge At Mission Hills are updated daily from data we receive from the Las Vegas multiple listing service. To learn more about any of these homes or to receive custom notifications when a new property is listed for sale in Amber Ridge At Mission Hills, give us a call at 702-323-5939. Amazing Resort Like Backyard with Built in BBQ * Pool & Spa * Covered Patio * Shutters * 5 Bedrooms * Fantastic Kitchen with Granite Counters & Back Stone Splash * Stove & Dishwasher & Microwave Stainless Steel * Large Master Bedroom * Huge Loft * Pristine condition - a must see! MLS#2087325. Realty ONE Group, Inc.
Near Costco, M Casino, restaurants, shopping center, schools and parks. MLS#2085599. Wardley Real Estate. A beautiful backyard set up for an herb garden and bigger size than most in the subdivision. MLS#2085961. Landbank Realty. Landscaped Front Yard and Rock Landscaped Backyard. MLS#2084870. Realty ONE Group, Inc.
Great two-story home w/4 beds, 3 baths & huge loft located in the desirable "Amber Ridge"*Open Kitchen w/Granite counters, R.O., island, pantry & eat-in nook*Full bed & bath downstairs*Huge bedrooms w/walk-in closets*Versatile loft*Large Master suite w/walk-in shower, dual sinks, garden tub & enormous walk-in closet*Shutters*Covered patio*Artificial grass backyard w/water feature*3 car garage*Kinetico water softener*All appliances included MLS#2080832. Irving Realty. Granite counter tops in kitchen * ceiling fans * blinds * Includes all appliances * Community is located across St. Rose from new Costco * Super convenient to shopping and freeways * Buyer/agent to verify all info. MLS#2079551. LIFE Realty. Granite countertops in the huge kitchen. Sparkling pool in the backyard. MLS#2072587. Renu Management Las Vegas. Community has huge park and play area. MLS#2063554. Realty ONE Group, Inc.
Plus the formal living room!21x16. MLS#2062726. Wardley Real Estate.